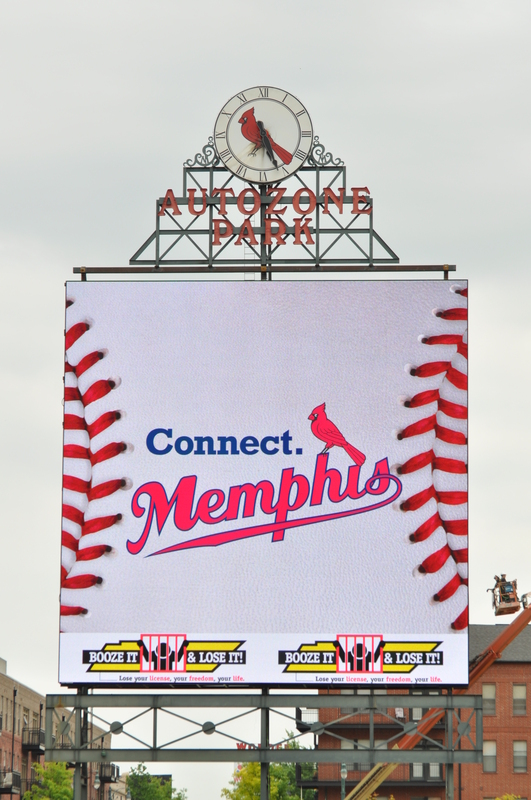 The first home stand is in the books and the ‘Birds came away with a series split with the Oklahoma City RedHawks and a win against the New Orleans Zephyrs (the fourth game was postponed due to rain). 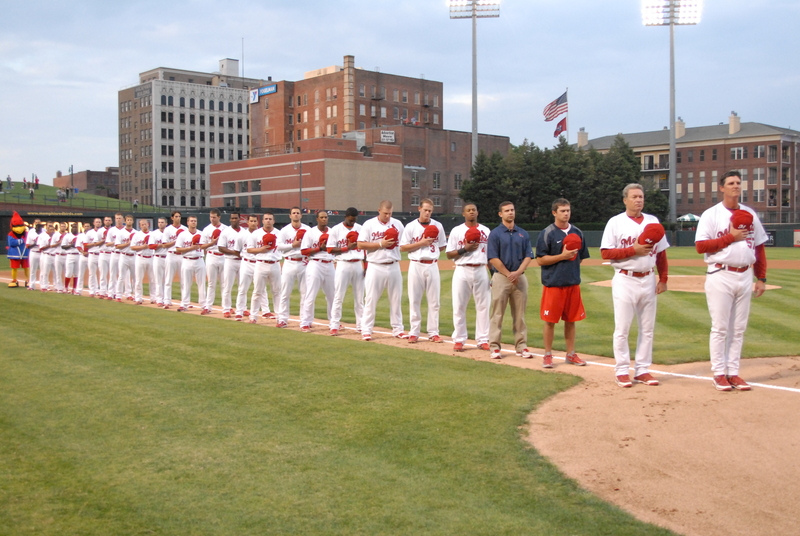 The 2012 Memphis Redbirds are lined up for the National Anthem and ready to play ball! 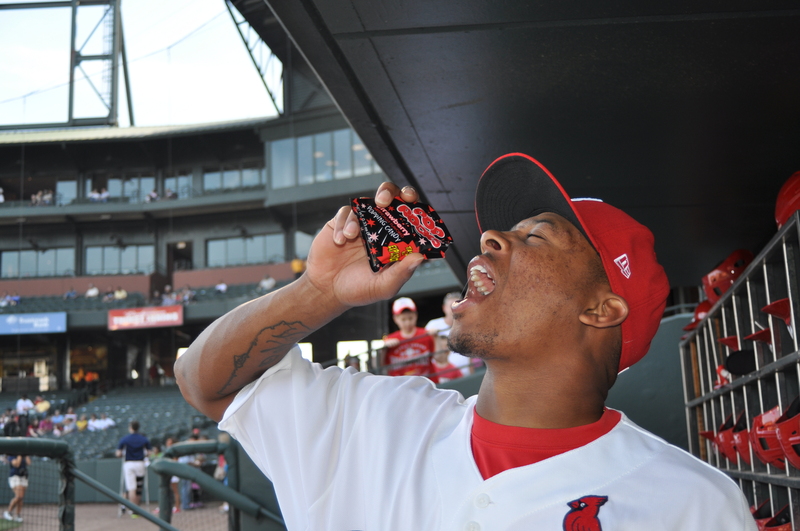 Outfielder Adron Chambers enjoys some Pop Rocks before the game for our "Welcome Pop!" 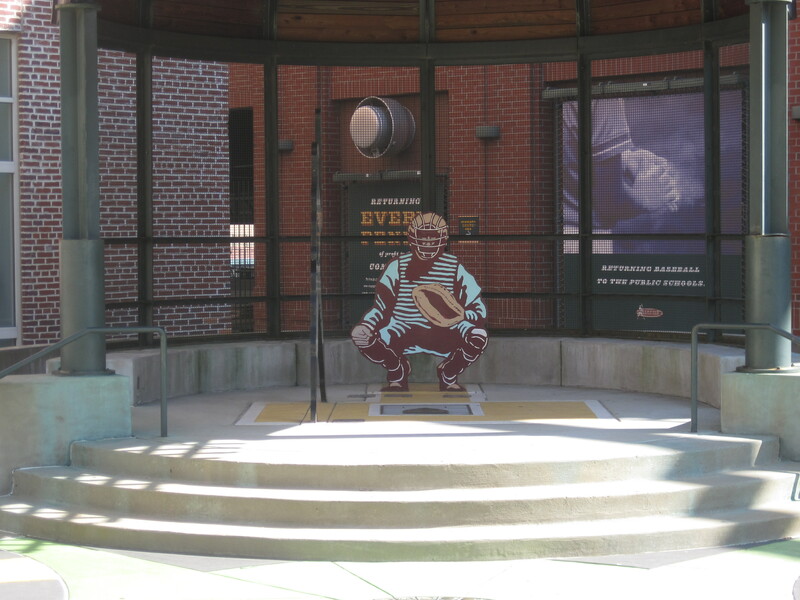 Night to welcome in first-year manager Ron "Pop" Warner. 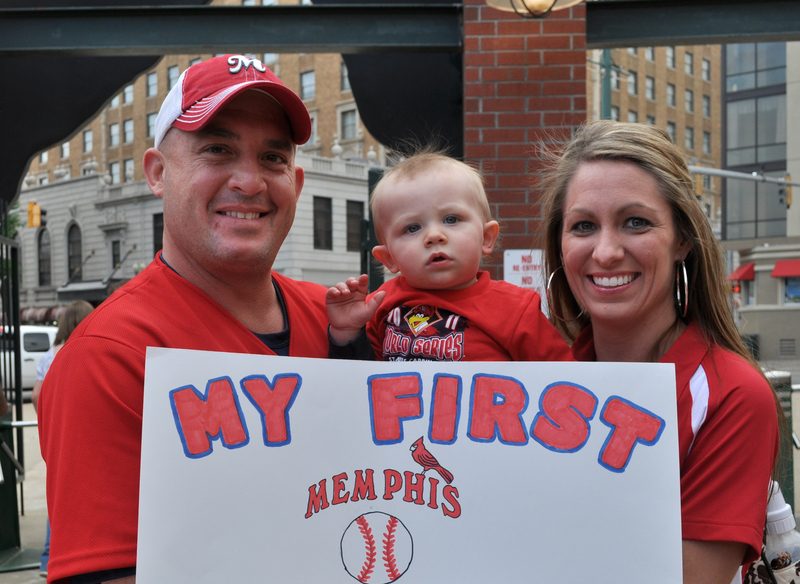 The Redbirds welcomed the newest addition to their fan base! 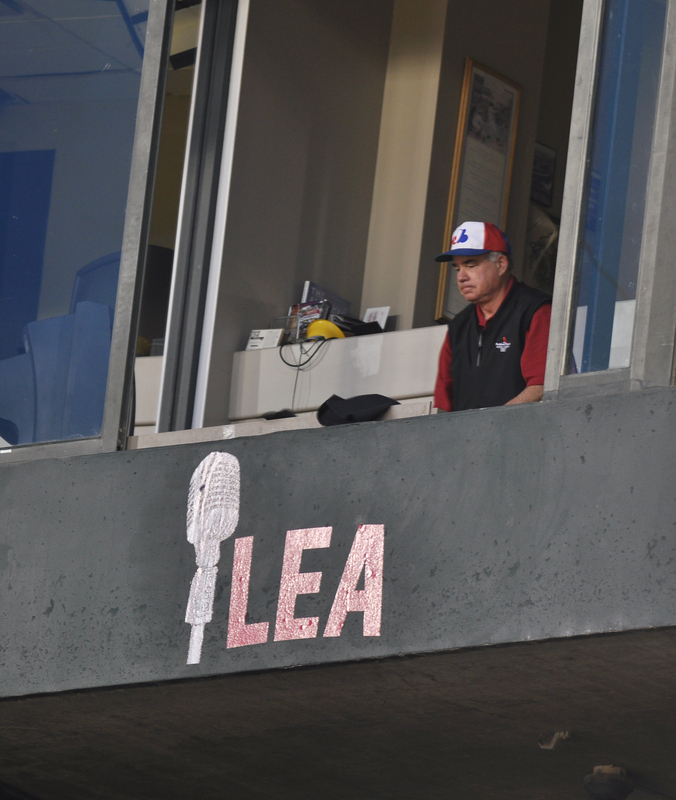 Long-time Redbirds play-by-play announcer Steve Selby helps with the unveiling of our tribute to former play-calling partner Charlie Lea, who passed away in 2011. 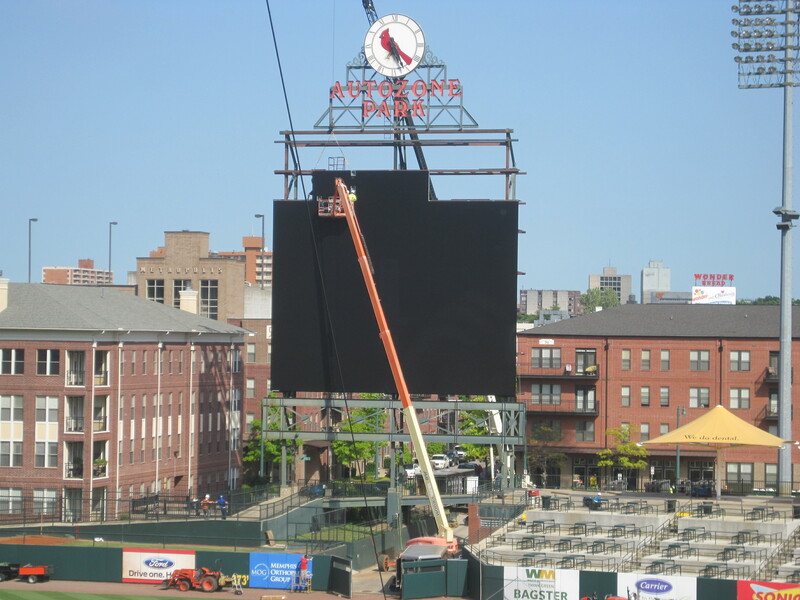 The media and the fans caught their first glimpse of the newest addition to the best ballpark in the Minor Leagues, the 60x60 HD video board! * All photos courtesy of Allison Rhoades, Redbirds Graphics & Photographer. 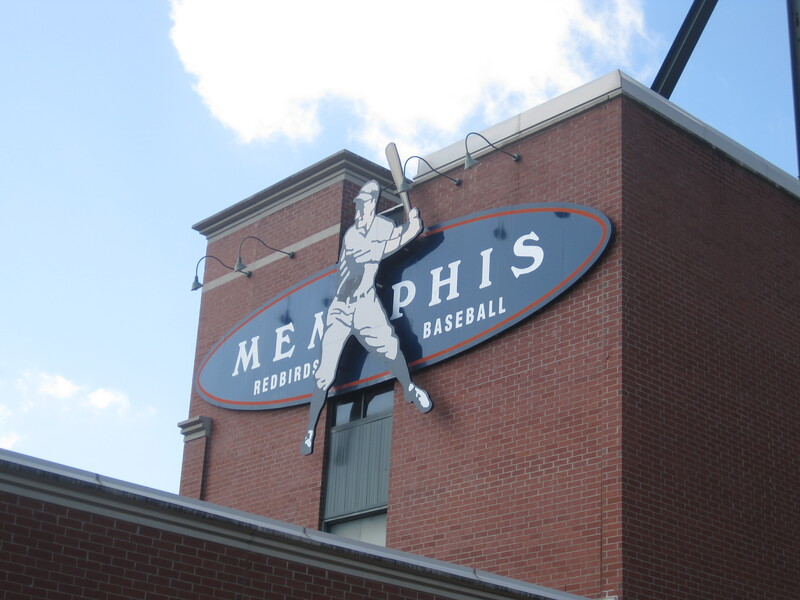 It’s Gameday at AutoZone Park! 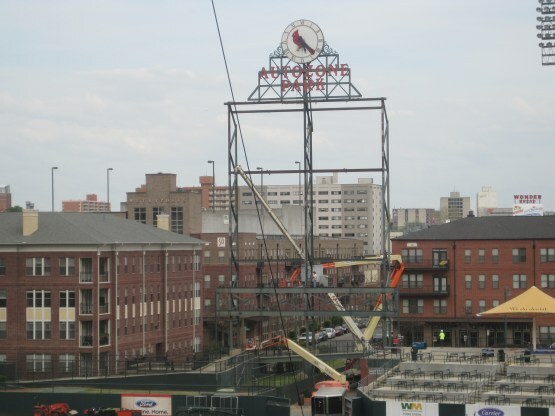 We hope to see everyone out here to welcome the 2012 Memphis Redbirds team and to catch the first glimpse of the new 60×60 HD video board, the biggest in all of Minor League baseball! 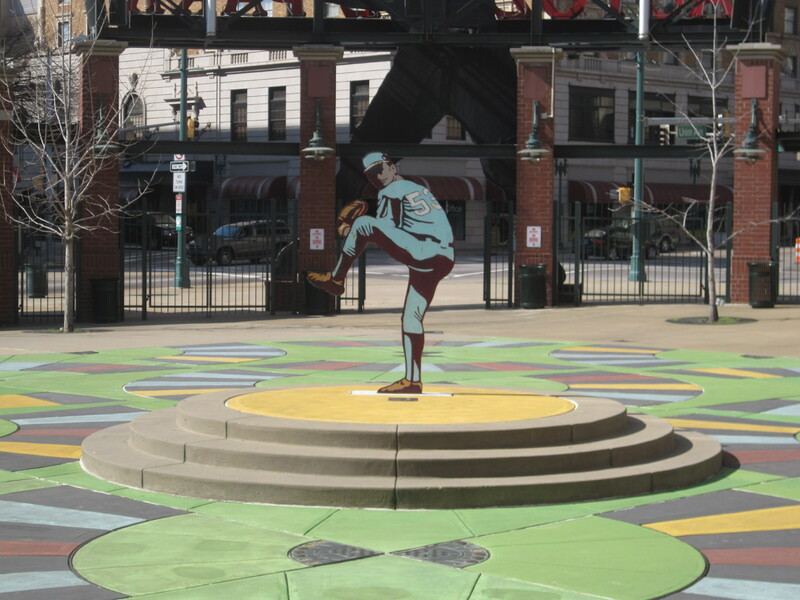 The home opener is tomorrow at 7:05 p.m. (CT) as the Redbirds will host the Oklahoma City RedHawks. Let’s welcome the team in style. 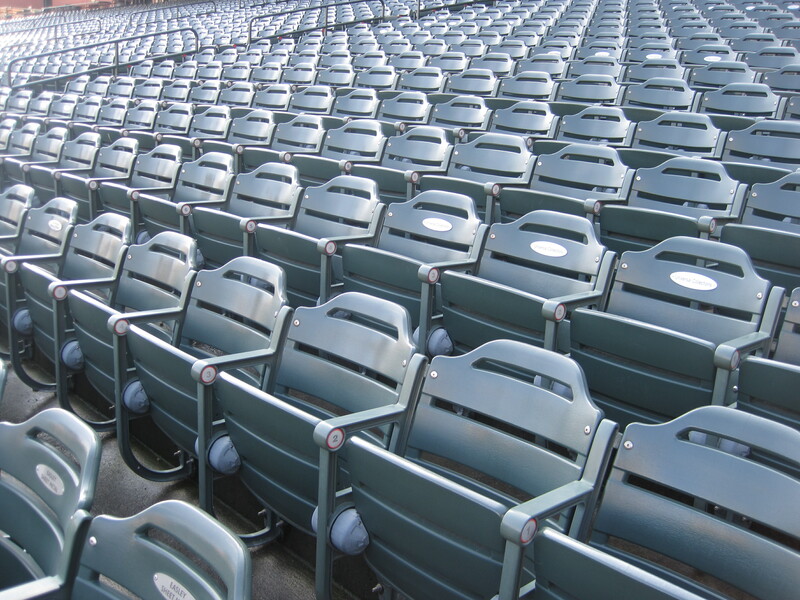 We’ll see you here! The HD video screen is in place. Now all that is left is some behind-the-scenes work and it should be ready for testing of the display and operator training! 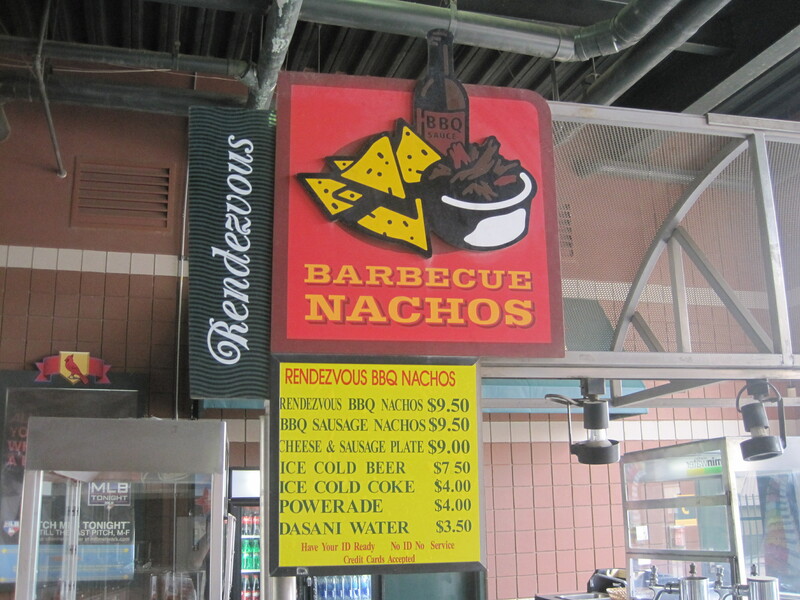 … you can get the world-famous Rendevous BBQ nachos at the Rendezvous stand at AutoZone Park (two locations – on main concourse)! The installation of the front-end display of the new HD video board screen is almost complete! 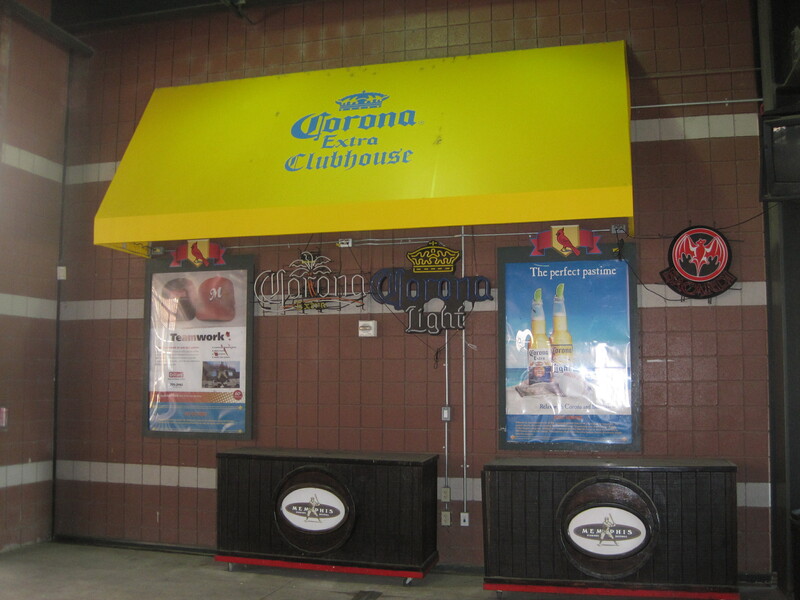 … you can get an ice-cold Corona, Barefoot wine by the glass, a frozen margarita or your favorite cocktail at the Corona Extra Clubhouse! 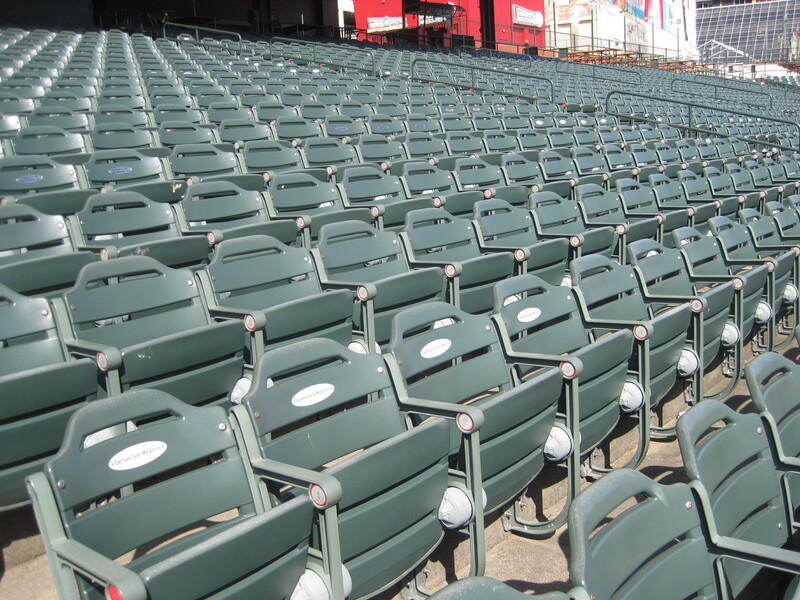 … the pitcher to catcher connection becomes a reality! 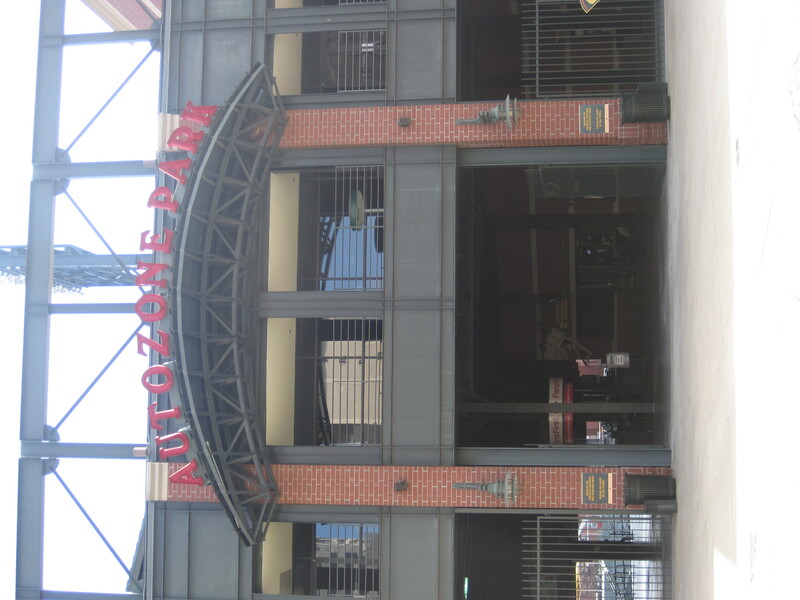 … the home opener at AutoZone Park! 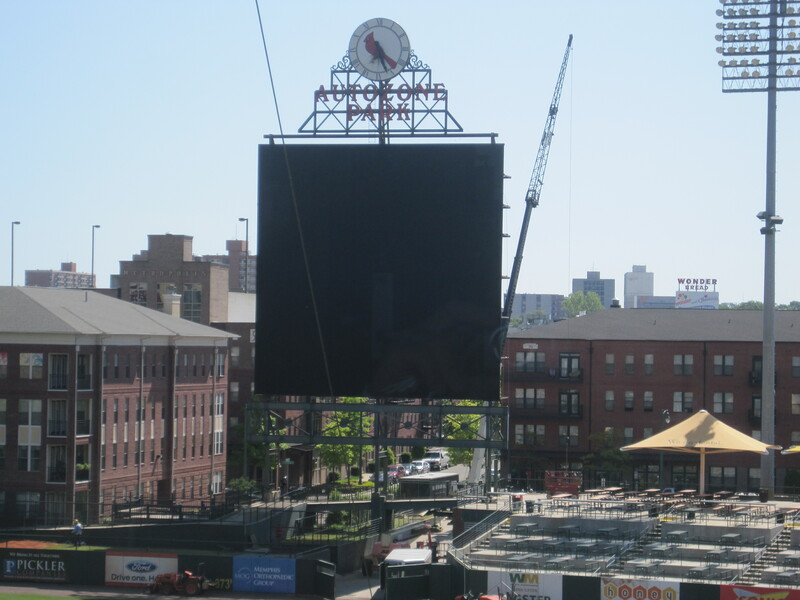 … you get to catch your first glimpse of the new HD video board!